It's Sew Cute Tuesday on a Wednesday 😊I had every intention to get this sucker posted yesterday, but it just didn't happen. Maybe when Sammy is a little bigger, and I am getting more that 5 hours of sleep at a time I'll be able to get it done! I spent all last week at my parents house because my brother and his two kiddos were visiting from Pennsylvania. William and my Nephew Jack are only 3 weeks apart in age, so it was wonderful to have time together for them to play. I was able to get a little bit of cross-stitch done while I was there. 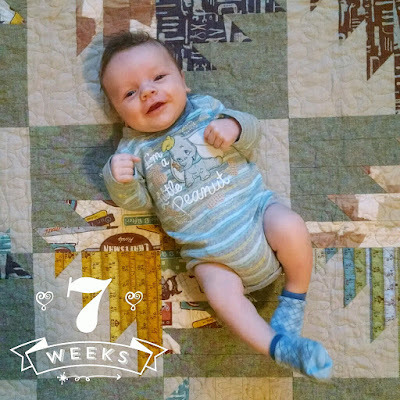 Being at my parents also gave me the opportunity to take Sam's weekly picture on the quilt I made for my dad last year! I can't believe he's already 7 weeks old (well 8 weeks tomorrow!) 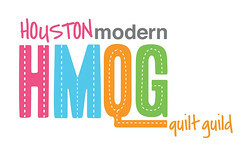 also you can see more details about this quilt HERE. Patty from Elm Street Quilts made this darling Christmas cushion! I have this pattern on my very long to-do list. I'm stealing this scrap storage idea from Cynthia of Quilting is More Fun than Housework! She uses silverware trays to store her 2.5" squares. 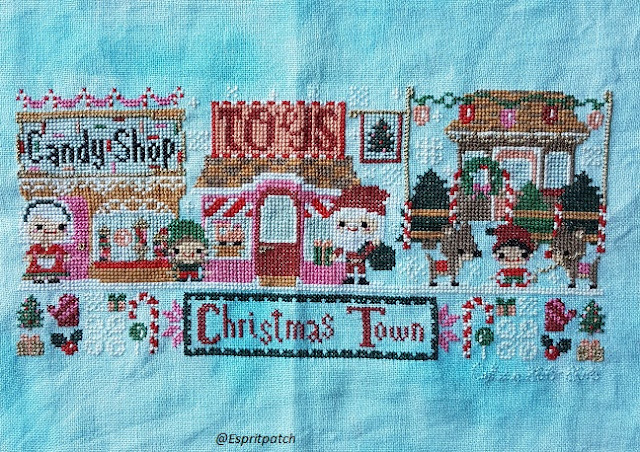 Celine from Espritpatch finished this super cute cross-stitch project! This is another pattern that I have on my very long to-do list. The Frosted Pumpkin Stitchery has awesome patterns and Stitch Alongs! Same is absolutely darling! Thanks for featuring my pillow! Sam is such a cutie patootie!!! !I love his onesie! My youngest is 15 and his nickname as a tot was Peanut. In fact, unfortunately for him, II still call him that or "P" for short!! He's on the small side but thankfully growing and will hopefully catch up to his 6'3" brother!! Enjoy those sweet boys of yours and thank you for continuing with the Sew Cute Tuesday!! Lovely picture of your little one. Thanks for featuring my cross stitch and good luck with yours!